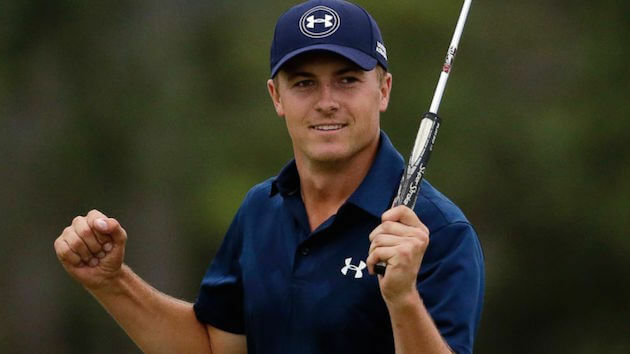 Jordan Spieth has capped off a remarkable season by claiming PGA Tour Player of the Year. A couple of poor finishes in the middle part of the season wasn’t enough to slow the momentum for this remarkable young player. His strong character and unwavering belief in his own ability allowed Spieth to finish the season strongly and ultimately become the best player of the year. Celebrate Jordan Spieth And Shop His Gear at Golfsmith.com! Jason Day’s late-season form vaulted him into the conversation for the award, but Spieth claimed the FedEx Cup title by winning the Tour Championship in the postseason finale. That came on the heels of Day winning four of six starts, including his maiden major at the PGA Championship. But Spieth was in the hunt to win all four majors. Like Day, he finished a single stroke out of the Open Championship playoff at St. Andrews and had seven three-putts that week that contributed to the denial of his Grand Slam bid. If not for Day’s record-setting score to claim the Wanamaker Trophy, Spieth may well have had three major victories to his name this calendar year. Regardless of what happened in the playoffs, the 22-year-old may have locked up the award just by winning the Masters and U.S. Open. One thing’s for sure the PGA Tour couldn’t be better placed with an incredible array of competitive young players all vying to be the best. It appears the question of whether the PGA Tour can thrive without Tiger Woods has been answered. Will Rory McIlroy’s Ankle Injury End His Season?